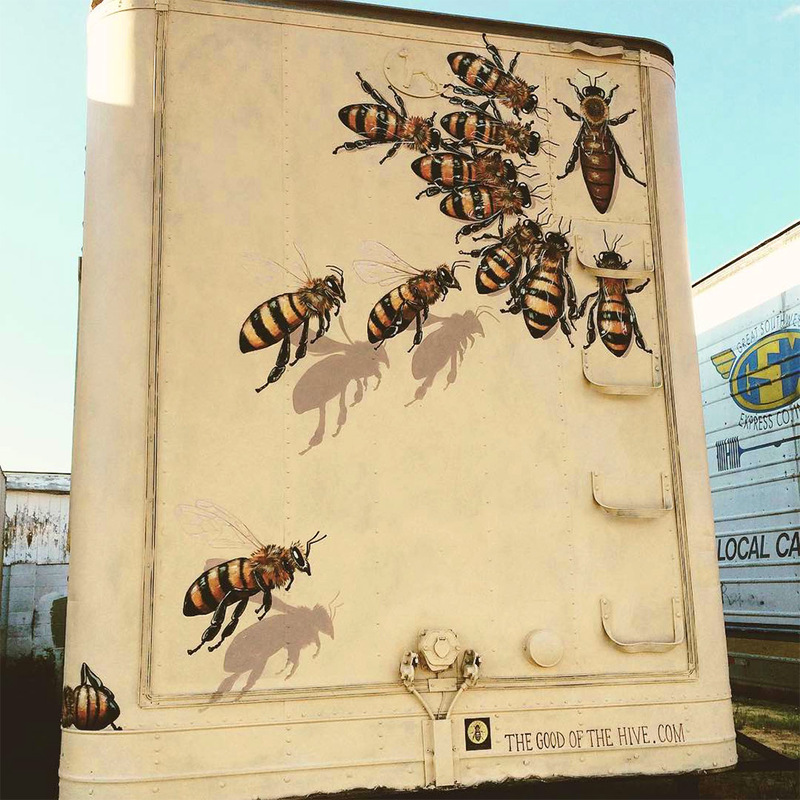 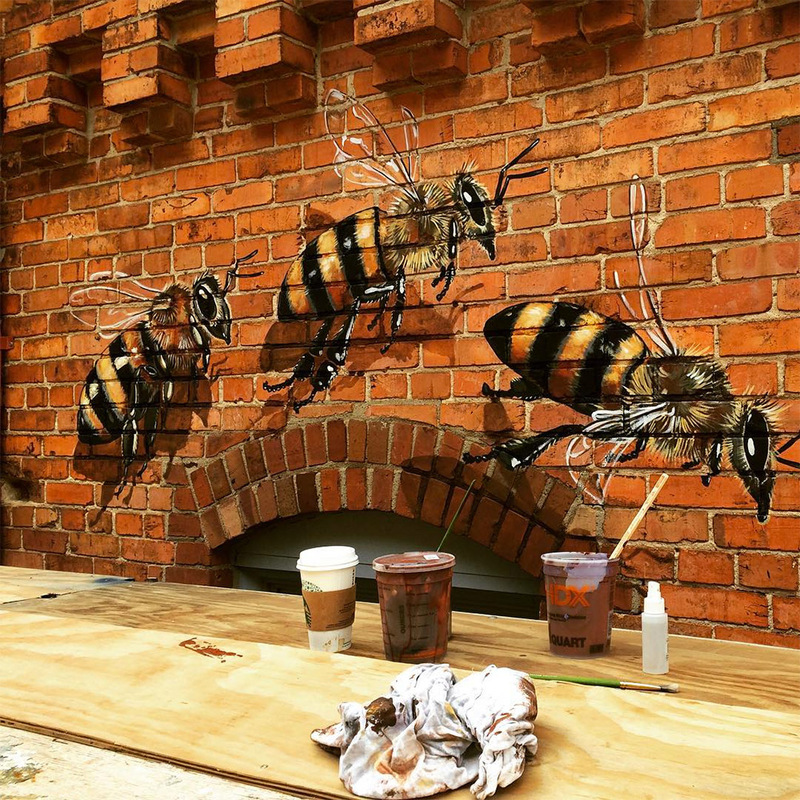 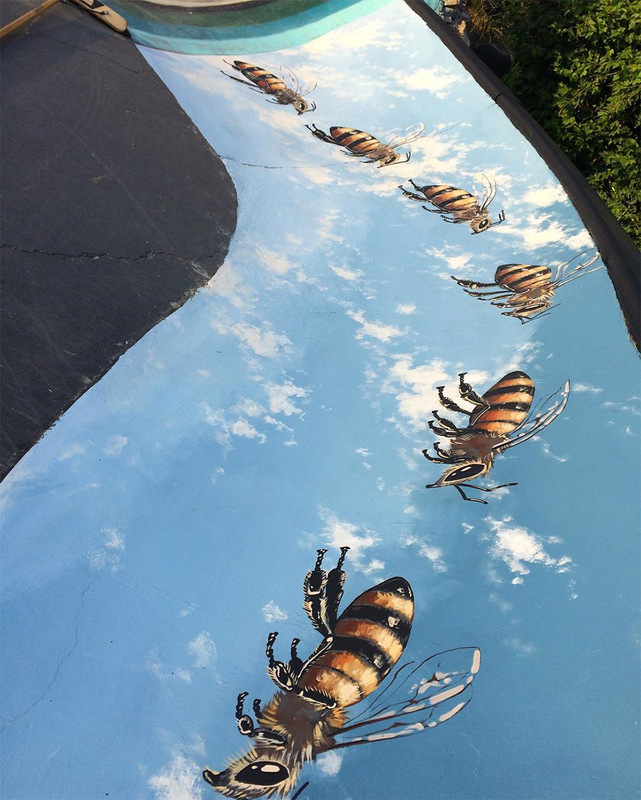 In an effort to raise awareness about the plight of the humble honey bee, New York-based artist Matt Willey founded the Good of the Hive Initiative, an ambitious project to personally paint 50,000 bees in murals around the world. 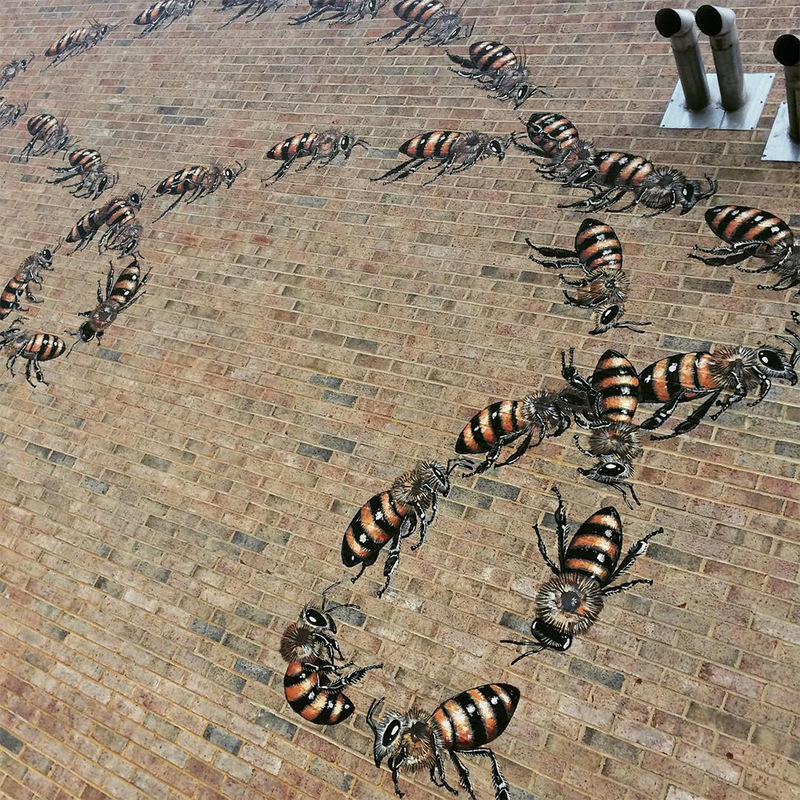 The number itself isn’t arbitrary, it takes about that many bees to sustain a healthy beehive. 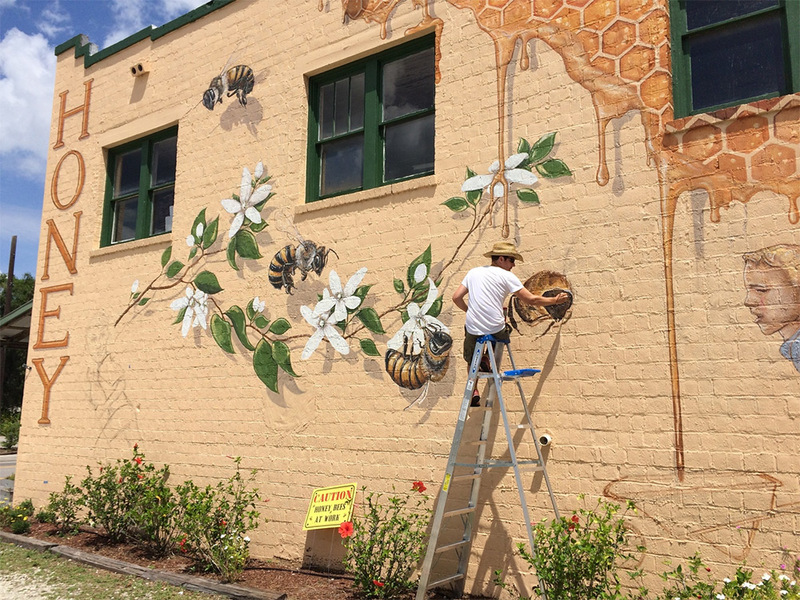 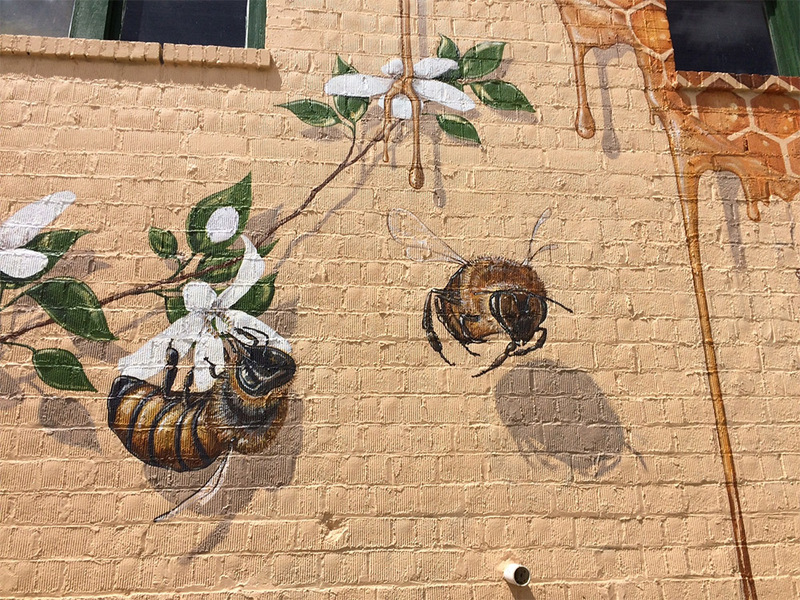 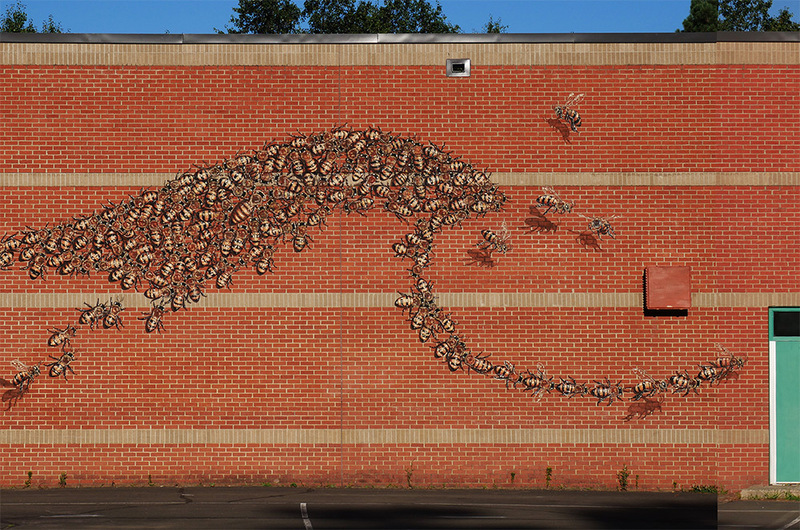 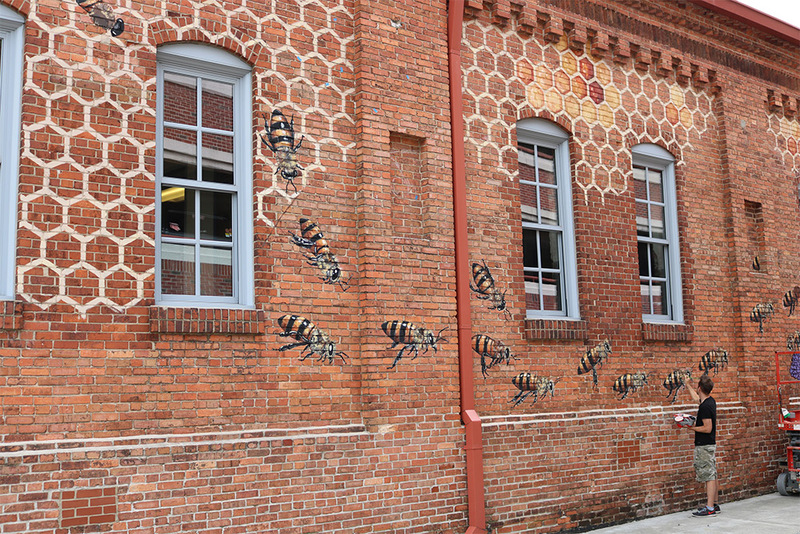 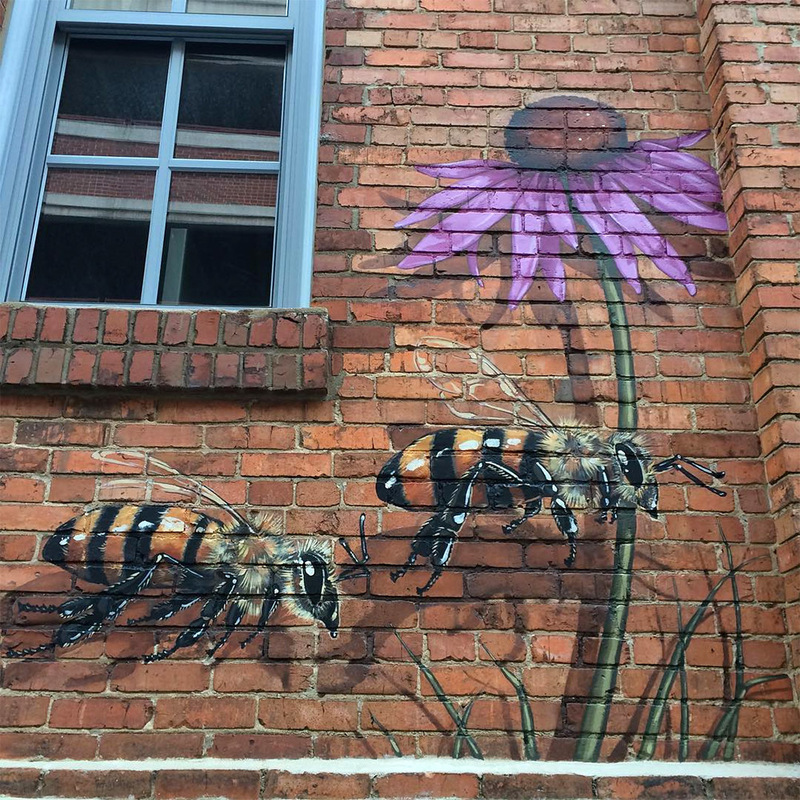 So far Willey has completed 7 murals including a large piece at the Burt’s Bees headquarters, and he keeps meticulous notes about the number of bees in each piece which he shares on his website.